The fourth entry in Warner Brothers and Legendary Pictures' Monsterverse film series and sequel to next month's Godzilla: King of the Monsters, Adam Wingard's Godzilla vs. Kong (2020) has officially wrapped filming and will now enter post production, where visual effects and score will be applied, polishing up the film for its release next year! Director Adam Wingard shared the update to Instagram himself today that the final phase of principal photography had concluded for Godzilla vs. Kong as filming wrapped in Australia several hours ago. 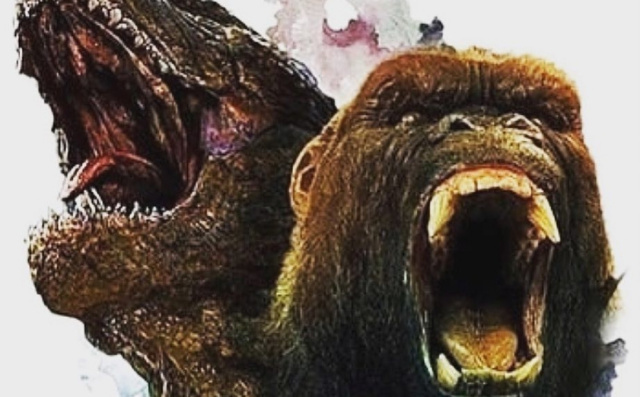 Godzilla vs. Kong will hit theaters March 13th, 2020! Check back often for more updates, as usual! 8 Fan responses to Godzilla vs. Kong (2020) officially wraps filming! I don't know if it's happening to anyone else or if it's just me, but if it is, can you please see what the problem is? Thanks so much. Hooray! The rematch of the century! Wait what? Godzilla 2: King of the Monsters haven't come out yet and they just finish it? THIS IS AWESOME!!! Cool. That means we might get a teaser trailer in a few months. It's not going to be a dud, right? Godzillatheking123 The trailer or the film itself? Either way, I hope it isn't a dud.